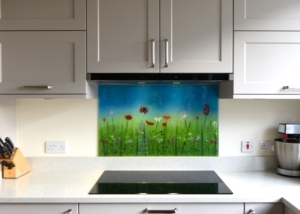 If you’ve been looking for beautiful bespoke fused glass art kitchen splashbacks like no other, then you’ve certainly come to the right place. 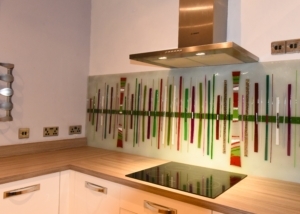 Have a look through some of the incredible designs we have to offer, and you’ll quickly see how unique our work is compared to traditional coloured glass splashbacks. 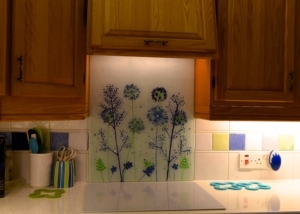 Every single one of our bespoke glass splashbacks can be made and personalised just for you. 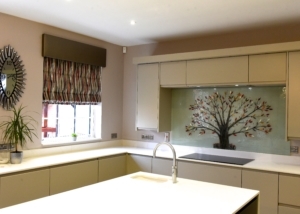 For example, you might see a design on the website you like but want to change the colours. 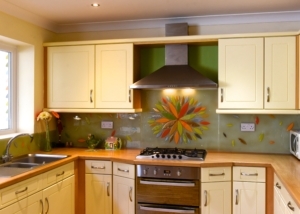 You might even want to provide your own design idea, or you may just want to let Lisa create something for your kitchen. 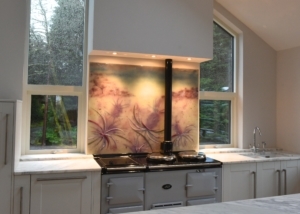 Either way, you will get a completely unique kitchen splashback that you’re sure to love. 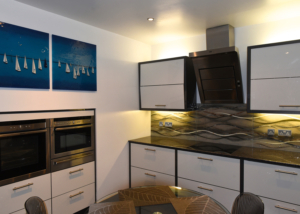 You can have a chat to Lisa about what you want to achieve. 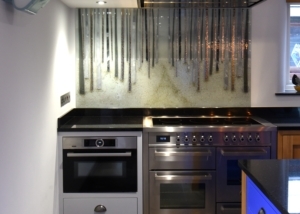 It is helpful to provide as much information as possible so Lisa can create the perfect splashback for you. 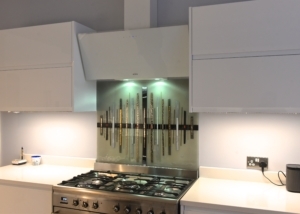 Sometimes people say to me that they want to be reminded of something they love, every time they look at the splashback. Maybe it was a memorable holiday or a stunning sunset. 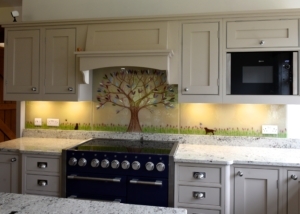 I often get asked to put people’s names or the names of their pets in the tree of life splashbacks. It is not unusual for me to be asked to put symbolic elements into the trees. 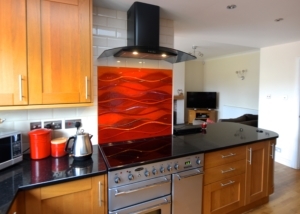 This way it is more personal and can be enjoyed by all the family. 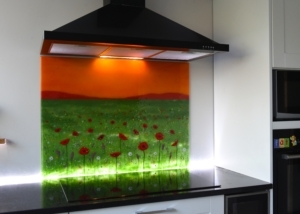 There are many examples of these types of glass splashbacks in the Portfolio section, and a huge variety of designs that are sure to inspire your very own ideas for the perfect piece of fused glass art. 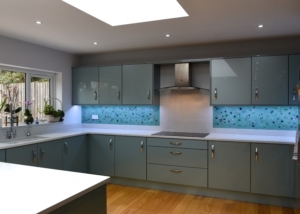 Colour requirements can be provided by paint colours, fabric and wallpaper swatches, tiles and worktops and digital images of the style of kitchen. 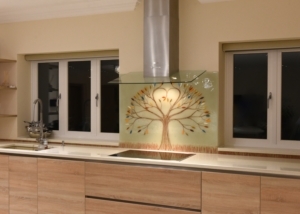 Kitchen splashbacks can range from ultra modern to more traditional, but the bespoke nature of the glass guarantees a piece of art that complements the décor of your home perfectly. 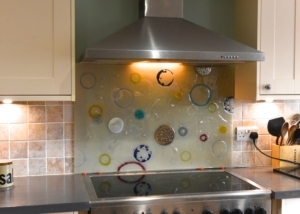 We mean it when we say fused glass gives you a lot more options than coloured splashbacks do!